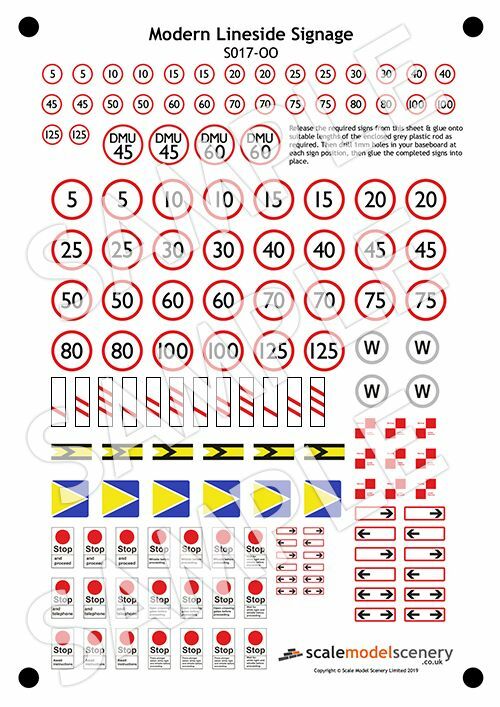 An A5 sheet (148.5 x 210mm) of Modern Pre-Cut Modern Lineside Signs (Speed Restriction, Stop, Limited Clearance etc). Incredible value with over 120 signs in a single pack! 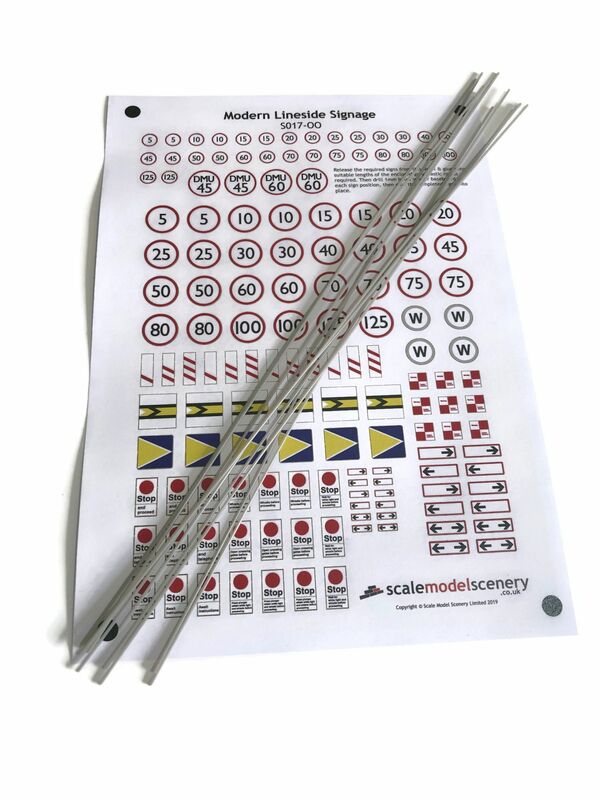 Perfect for detailing your modern image OO / 4mm scale model railway layout, the signs are printed at 1200dpi onto high quality tear-proof polyester paper then cut using our laser camera system to give high accuracy. And with them being pre-cut they can be assembled and on your layout within minutes. No more cutting out circular signs by hand! Simply release the required signs from the polyester sheet, cut a length of the included 1mm plastic rod, then glue the sign onto the rod. Drill a 1mm diameter hole in your baseboard and glue the sign into place. 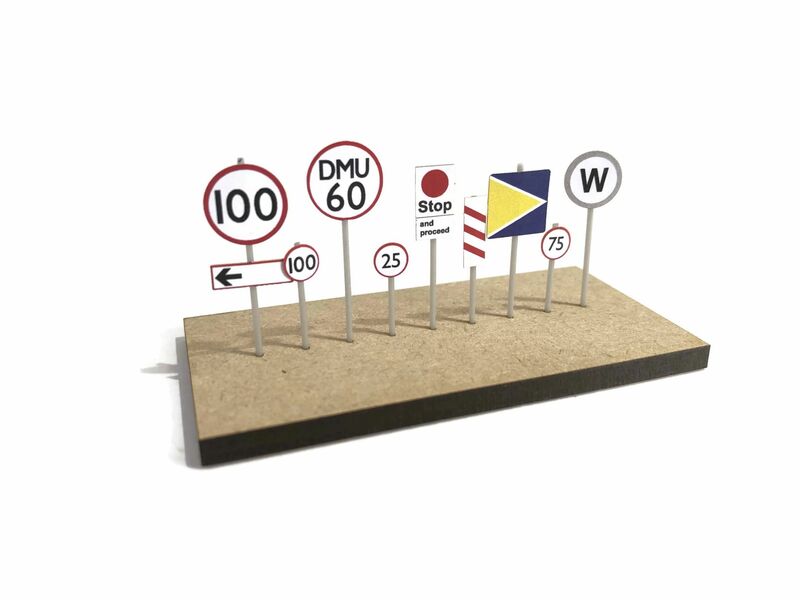 Signs included: speed restriction in two sizes, whistle, countdown markers, limited clearance, cab signalling block markers, permissible speed restrictions & distance boards.